Far too many things break the heart about Nigeria but two of them take the cake. One is the inhibited selfishness of the country?s political elite while the other is the naivety or docility of the citizenry. In a sense, these two are a corollary one of the other but like the egg and the chick, it is hard to tell which of these national misfortunes precedes the other. Someone may say misfortune seems an extreme word to employ in the circumstance but that is exactly what it is, at least as far as Nigeria?s democratic growth is concerned. Unless there is a reversal of the lack of principles that governs politics and the docility of the people, democracy will crawl on its knee eternally, that is if the country remains! And I will explain. On Tuesday, 52 federal legislators took a step that every Nigerian not drunk on the opium of self-delusion should have seen coming since June 2015! The reaction (or lack of it) of President Muhammadu Buhari and the All Progressives Congress to the emergence of Senator Bukola Saraki and Yakubu Dogara as President of the Senate and Speaker of the House of Representatives respectively and the failure of the party to put the matter behind it and seek unity on behalf of the country put the first tear in the now totally shredded babanriga of the APC. True Italian philosopher, strategist and proponent of the ?end justifies the means? viewpoint, Niccolo Machiavelli, suggested over five centuries ago that there is no real affinity between morality and loyalty, but there is at least common sense. Politics is essentially about interests, first of the politician, then of his party and then of the people. All of this presupposes that like all human institutions, forgiveness is pivotal to the organic growth of political parties. But rather than that virtue ruling the hearts of gladiators in the APC, the vice of arrogance is too pre-eminent. And most often than not, nothing other than a mighty fall follows such conceit. What is more pathetic about the Nigerian politician is his inability to learn from the past. 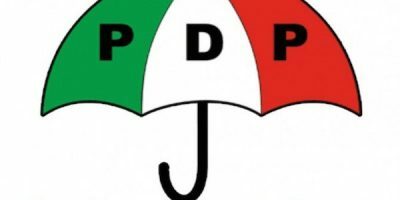 Hubris, which made the APC ignore the raging fire on its roof as evidenced in the breakdown in the relationships of stalwarts in Kano, Kaduna, Benue, Bauchi and a bunch of other states in the country, was the tragic flaw that tore the otherwise secure umbrella of the Peoples Democratic Party from which the APC took power in 2015! So, why do they not take cues from the past? That would be because of the sense of invincibility that power gives the Nigerian politician. Here, power is absolute and when they possess, they do not just deploy it to their own advantage, they also suppress every opposing tendency. This is why the National Chairman of the APC, Adams Oshiohmole, who, even if he had all the confidence he claims to have about the clout of his party in spite of the defectors, should take a moment of reflection on the implications of Tuesday?s massive exodus on the nation?s democratic growth. What the APC and its leaders do not seem to understand is that apart from the promise to put Nigeria on the path of sustainable development, they, with their claims to democratic credentials, owe Nigeria the duty of advancing democracy, something that the country would never attain as long as politicians change parties like call girls switch benefaction. So pride, a shameless urge to satisfy the self, which is a definite precursor to neglecting the interest of the people, forms the most discernable characteristics of the Nigerian politicians. The other, if not the bigger part of the tragedy is the refusal of Nigerians to be true citizens of their country. For instance, how many of the legislators, who announced a switch in party loyalties earlier this week sought the opinion of their constituents before taking this all important decision? Democracy is said to be the government of the people, by the people, for the people. But here, the people do not matter to most politicians whether they represent the people or they are elected to govern. They of course always claim to take decisions on behalf of the people but whatever you claim to have done for the people, without the input of the people, cannot truly be for the people. You cannot however, exonerate Nigerians who have submitted their freedom to other mortals. If Nigerians are not pandering to the dictates of religious leaders who have appropriated godship unto themselves, they deify politicians, becoming unquestioning by themselves and violent in the resistance of the right of others to query those elected into office, thereby flouting a very basic demand of democracy. How conceivable is it, for instance, that star-struck Nigerians could never see anything wrong in the action or inaction of political leaders on either sides of the divide? This tendency harmless as it seems, invariably provides ammunition for politicians to be laws unto themselves in total disregard for the people who elected them. Politicians now only need Nigerians at the period of elections but even then, what the people desire is secondary since the former are in control of the resources of state and can deploy the same to purchase the conscience of the electorate. The electorate have therefore unwittingly thrown their breakfast to the dogs. Ultimately, however, Nigeria is the loser. While the APC, like the cripple whose ears get filled with beats of war for one year and chooses to stay put until bullets hit his door, has itself to blame for allowing dissents to fester until the huge rebellion that we saw on Tuesday, Nigeria?s democracy takes a weakling blow every time this happens. That those who left the APC took the decision for the same reason which led most of them out of the Peoples Democratic Party in 2014 is a heartrending testimony of our political parties? inability to learn to entrench internal democracy, party discipline, planning and strategic mobilisation of the people as their power base. It is also a worrisome indication of the instability that might become an inherent part of the country?s politics. If Nigeria witnessed massive political realignments in 2015 as a result of the determination of politicians to secure their individual ambitions and settle political scores and the same has happened now that the country is moving towards another general election, what is the guarantee that this perfidy would not occur in 2023 thereby becoming a permanent feature of Nigerian politics? Their protests are to say the truth, quite anifest. When it went into the 2015 elections, the APC had just about five pillars of power, yet it has not known one day of peace since it took over power that same year. To call meetings of the National Executive Council has been herculean for the party not to speak about constituting a board of trustees. If the APC with those relatively few interests failed to appreciate the collegiate character of party politics in an emerging democracy these three years, how would the congregation of embittered people coming together at the moment not turn Nigeria into a political warfield post-2019 if they are able to win the election? This is why no one, not the defectors, not the PDP, (which appears to be the greatest beneficiary of the civilian coup that occurred this week), nor their supporters should rejoice just yet. If this event ends as another power-grabbing initiative, this coalition, will in another four years be at the juncture that the APC currently finds itself. Of course there is also the frightening prospects of destabilising the country and even tearing it apart. While political parties should ordinarily provide rallying points for unity being procuring members from across all nationalities, primordial interests of ethnicity and religions thrive here. What Nigerian political parties need to do currently is to identify a common ideology that binds their members together, grow internal democracy and gradually give power back to the people. That not done, those who are rejoicing today, will be at the receiving end tomorrow and they will leave Nigeria, this huge country with enormous potential, utterly unaccomplished. It is a bad dream that should never come to pass truly, but only a commitment to selfless work by all, leader and the led, will terminate that nightmare and change Nigeria for the better. To all my self employed,small business owner friends.